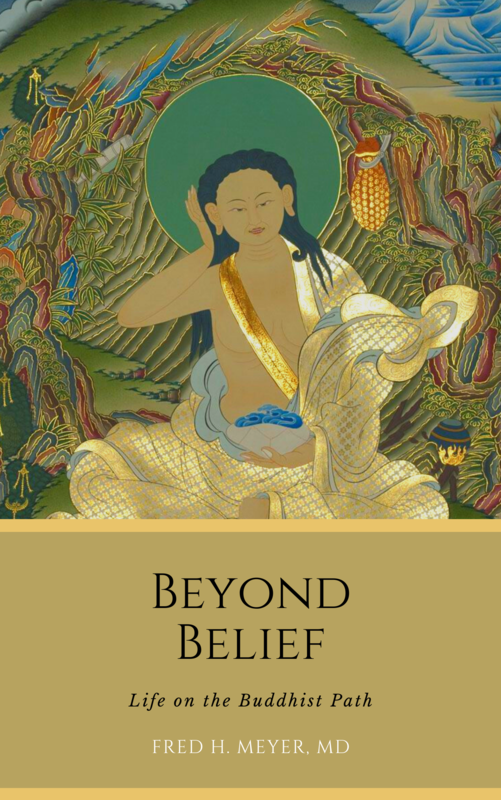 Beyond Belief: Life on the Buddhist Path is a collection of chapter-length essays by Fred H. Meyer, MD, providing advice and guidance on the Buddhist path. 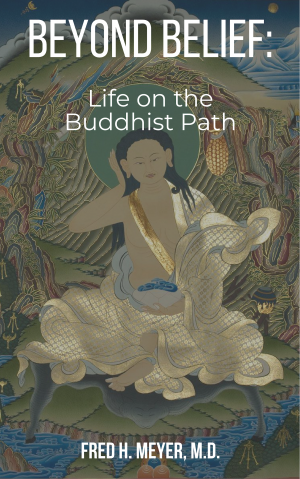 Down-to-earth, accessible, and authentic, Beyond Belief is informed both by Dr. Meyer’s varied and colorful life experience, and by his nearly four decades of intensive Buddhist practice and study. Throughout, Dr. Meyer discusses key spiritual principles in simple language, with reference to his own life as a physician, Buddhist practitioner, and person in the world, as well as stories and examples from the broader Buddhist canon.